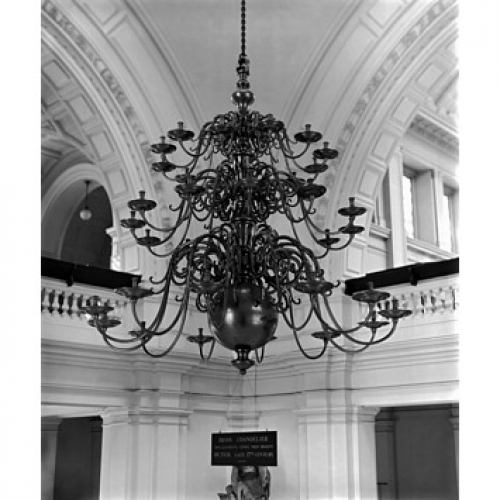 Germany in areas around Cologne and in the Flemish regions, by 1700 Dutch chandeliers or chandeliers made in the similar style were popular in Europe and particularly sought after in England. It is rare to find a surviving example prior to 1730 because they were often melted down for various reasons. See the picture of one surviving large example - currently in the V & A which came from a church in the northern part of Holland. 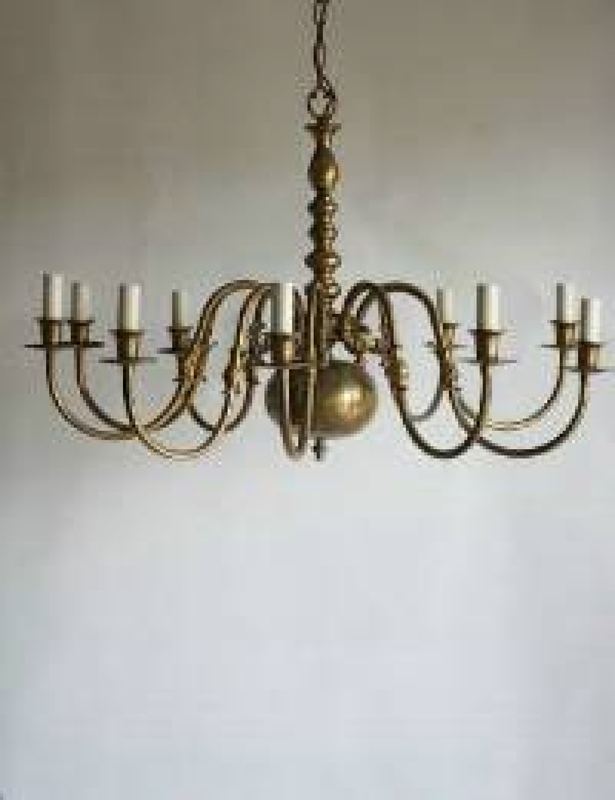 Chandeliers made of brass reflected the light and often have metal light reflectors where we are used to seeing crystal drops, they lend themselves well to lower ceilings (single tier items) the large circular base parts were cast to allow the chandeliers to remain balanced when lit with candles in drafts!! 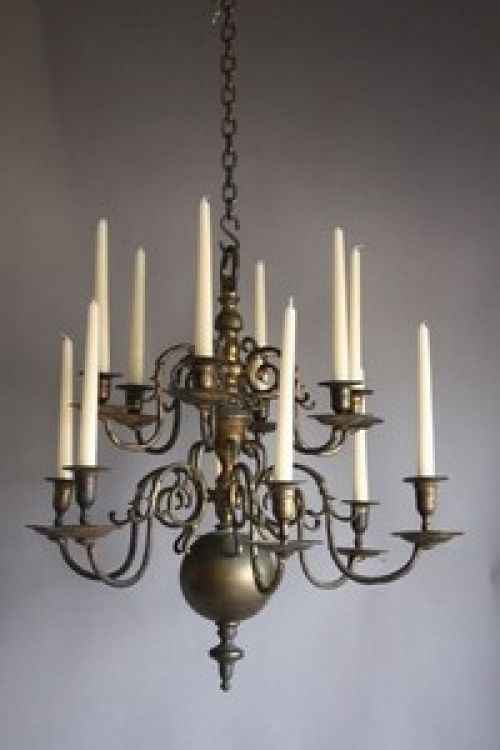 Chandelier is the French term `Chandelle` and means candle carrier, any light which can carry candles i.e. with the arms pointing the light upwards can be classified thus. Currently there are many old Dutch fittings being silvered with varying degrees of success, and this is an option we offer, but it depends on the item and the finish, we are not for very glitzy bright finishes on old chandeliers we like the patina.